Blondie and Brownie: Free Cone Day is Coming!!! Free Cone Day is Coming!!! 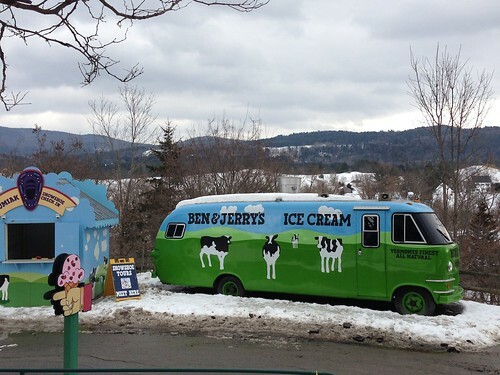 A little over a month ago, I received one of the best emails of my life: would I like to go to Burlington, Vermont for three days to hang with the Ben & Jerry's crew? "UH, YEA!" was my exact response. Our love of Ben & Jerry's (and ice cream in general) is well documented and going to the Waterbury factory was on my bucket list anyway, so why not?! Here's what went on during the trip and information about Free Cone Day!! 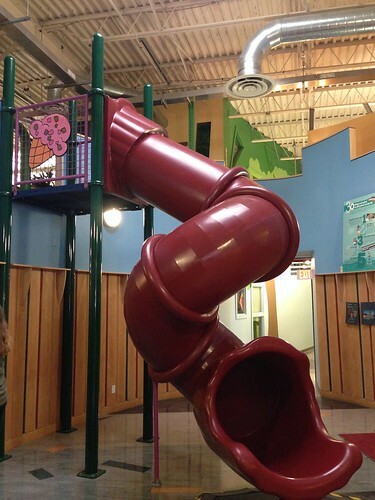 The group of us spent the first day at the corporate office and yes, there were "slide breaks." After I don't know how many years of not going down slides, I forgot how scary twirly enclosed slides are, but also how much fun. I went three times. We also found out that they really do pick up pints from random locations and check to see how the chunks are being distributed IRL. Then the pints are left out for eating and I am never turning down my third favorite flavor. 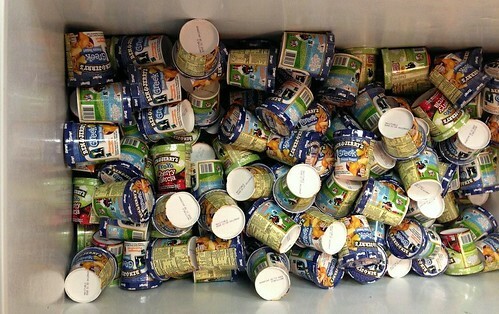 And yes, there is a freezer full of pints for the taking because three pints a day is not a joke benefit. It's very, very real. But the BEST part was breaking up into teams and making our own flavors. 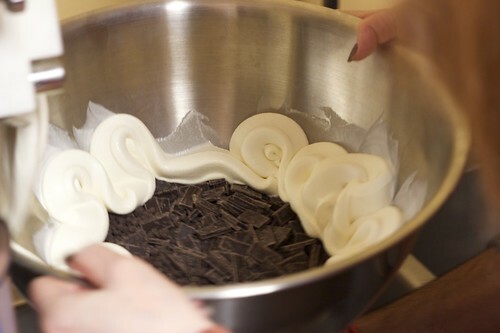 My team, "Team New York," made one using coffee liqueur, chocolate chunks, chocolate covered almonds and a fudge swirl. Then came deliberations and oh my goodness, it was so nerve wracking. They took a long time, people were summoned in, what was going on?!?!?! The problem was TWO of the flavors were so good, there was a tie and yes, friends, ours was one of them!! To win meant a scoop party!! I finally get the ice cream party I always dreamed of as a kid! Somewhere up above, my dad is so proud of me and our shared love of ice cream! And holy baloney, this post is getting long and I'm still on day one, so day two is coming on Monday (I super extra bonus promise and yes, it involves the new Cores flavors) but what you want to know is WHEN IS CONE DAY?!?! It's TUESDAY!! Yes, this Tuesday, April 8th, almost every Ben & Jerry's will be giving out free ice cream and this year the goal is 1 MILLION cones in the US alone. 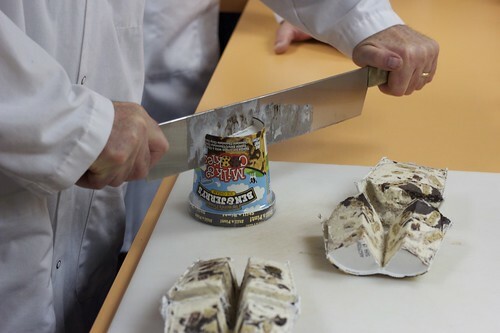 People, I know we can fall on this sword to make Ben & Jerry--my best friends in my mind--happy. We can do this! Headed to Seattle . . . Where Should I Eat? 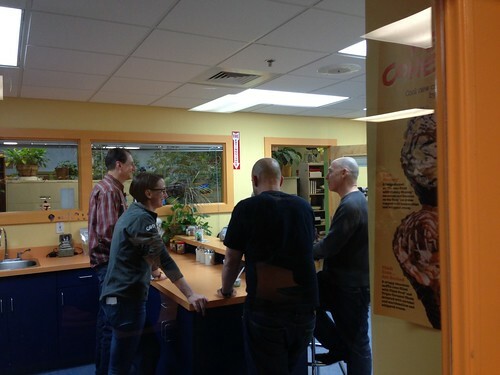 A Day at Ben & Jerry's in Waterbury!